Thinly slice(or use a mandolin slicer) your potatoes, do not use ends. 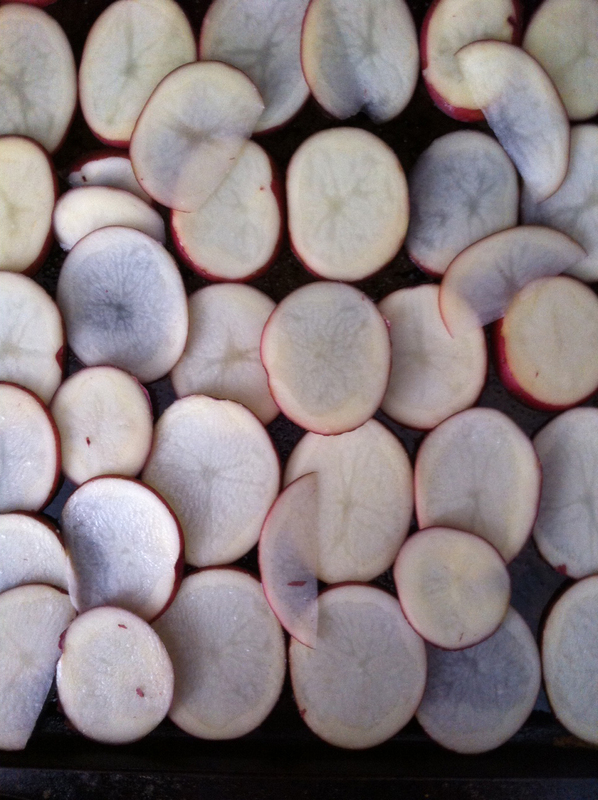 Lay out the potato slices without overlapping onto your oiled sheet tray. 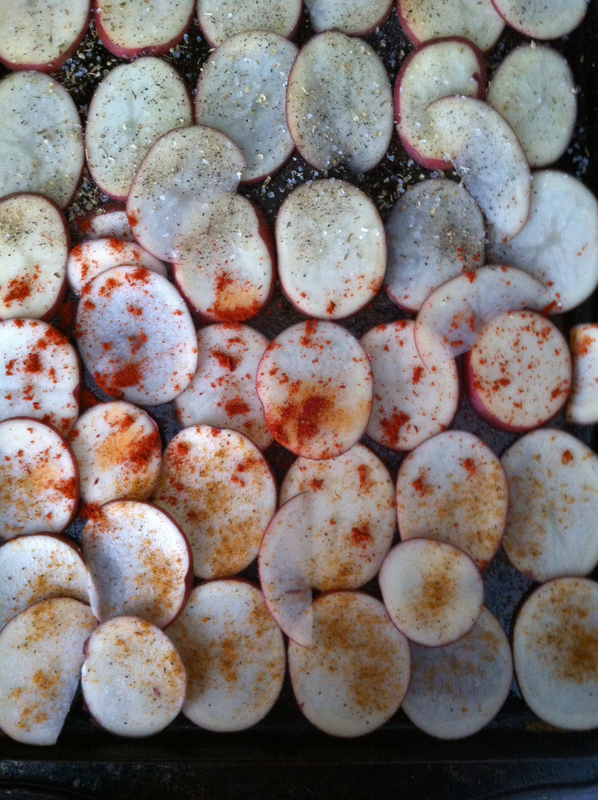 Sprinkle generously over the potatoes your choice of seasonings. I used, salt, pepper, oregano, Old Bay seasoning, and Paprika. Put into the oven and bake for 20 min or until golden brown, flip over a couple times during process. After they are done lay out on a paper towel to dry any excess oil. 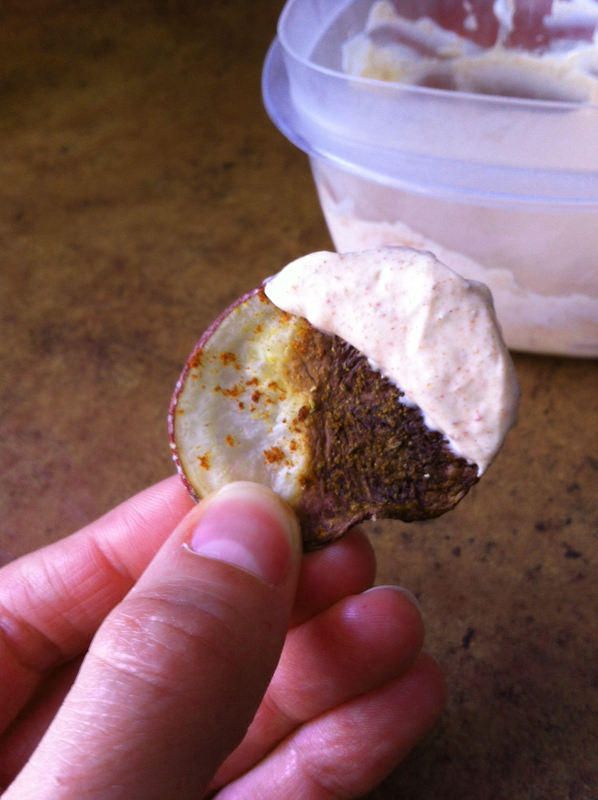 Mix the sour cream in with paprika, cumin, salt, and pepper until spicy and tasty. I’m a big fan of red skin potatoes, not just because of the nutrients you get from them that plain baked potatoes don’t have but they are just as versatile as baking potatoes.